Virtually Connecting March 18-20 at Digital Pedagogy Lab Toronto! The Digital Pedagogy Lab – Toronto event is on March 18-20, 2019. 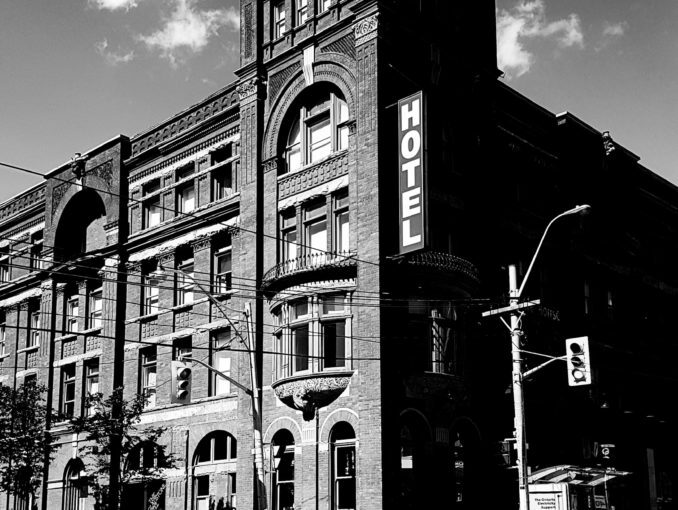 We are virtually connecting to you from the Gladstone Hotel in Queen West Village with two (maybe three!) opportunities to connect to this wonderful event from afar. Join us at a distance for a hangout with #DigPed keynotes, track leaders, and onsite participants alike. It’s a virtual campfire conversation! See below for details. At lunch time on Monday we will be joined by Nick Baker, Director of the Office of Open Learning at the University of Windsor, as well as any other guests we can wrangle up as the event kicks into gear. Stay tuned! Your virtual buddy will be Alan Levine and onsite will be Terry Greene. If you’re interested in joining, tweet us @vconnecting or leave a comment below. We’ll ask for your email address so we can send you a link to the session just before it goes live. Title times are local to the conference site, scroll below to find the times adjusted to your timezones and the links to watch the sessions live or recorded if you can’t make it into the session itself. Watch and tweet: watch the session live (see the embedded videos above or go to our YouTube channel www.youtube.com/virtuallyconnecting). If you choose to Tweet along, please tag @vconnecting and add the conference hashtag (#DigPed). One of our buddies is likely to pick up on your questions on Twitter and relay them to the participants in the live session. Become a buddy: If you’d like to join our team and help organize future events, talk to the onsite buddy. If you are attending the conference and wondering what’s for me, stop by! We would love to see you! You don’t have to appear on camera. We would love for you to come by, listen to the conversation, take pictures, and tweet about the experience (don’t forget to tag us @VConnecting and use the conference hashtag #DigPed). Sometimes those watching and listening onsite want to jump into the conversation and appear on camera. So, how do you find us? The key to joining up with us onsite is connecting with Terry Greene onsite. Connecting with us onsite can be tricky because each conference treats our sessions differently – please check details for onsite location on the day. Hi y’all. I would like to virtually connect to Jess Mitchell’s and Sean Michael Morris’ sesion at the Toronto workshop on Tuesday the. 19th. With many thanks in advance. Happy to sign you up for those sessions. We will need an email address to communicate the join information to you. You can DM to the Virtually Connecting account on Twitter if you would prefer to not leave it here.